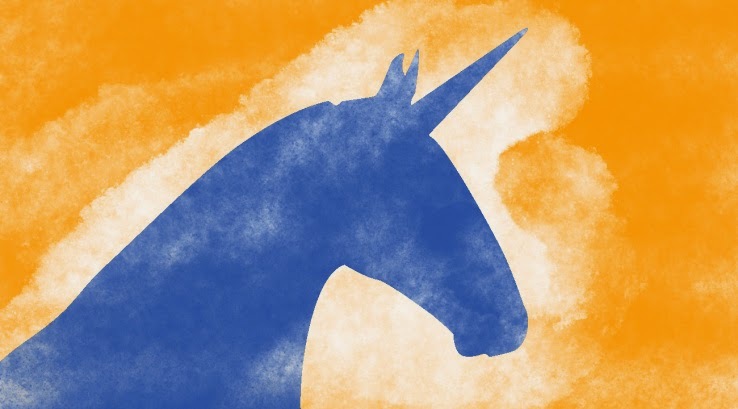 Spoken Word: Do Unicorn really exist in the ChiefMartec Landscape? Do Unicorn really exist in the ChiefMartec Landscape? A lot has been said about Unicorns since Aileen Lee seminal study was published on Crunchbase in November 2013. A surge of private companies being valued at US$ 1 Billion could either be a sign of an upcoming bubble or the next renaissance. Josh Kopelman coined the term “private IPOs” while Bill Gurley was urging to not mistake highly priced private deals with IPOs. In the meantime, opportunistic Venture Capitalists like Glenn Solomon from GGVC were advising CEOs on how to stay in the moment and leverage this burst of valuation while keeping their heads cool. Spoke and VentureBeat) identified the 29 companies (1.5% of the total landscape) belonging to the Billion Dollar Valuation Club including 12 Unicorns (0.66% of the total landscape). In spite of an incredible burst of innovation due to the emergence of the cloud in the ChiefMartec landscape, the increased number of companies that we have seen joining the Billion Dollar Club in 2010-2015 is due to a catch up of older companies founded in 1995-2004 that have survived the two nuclear winters and materializing their valuation later in the cycle. Furthermore, we are seeing a steady rate of 2 companies created every year between 1990 and 2010 that ultimately reached billion-dollar valuation, except during the nuclear winter of 2000-2002 when only one such company was created for the entire three years. Compared to their going public counterpart, ChiefMartec Unicorns have a tendency to raise fewer funds to become US$ 1 Billion valuation and are doing better after having reached the Unicorn mark with a median valuation of US $ 2.1 Billion versus US 1.8 Billion for public companies. Whether we are at the beginning of a Unicorn Era or witnessing an anomaly remains to be seen. Billion dollar private deals exist because a combination of stars is aligned: First, there is an existing demand from Financial Investors who trade better protection and early access to deals against liquidity. Most of the time, investors who invest in Unicorn deals also invest in public companies and will switch the balance to more public or private deals based on changes of market conditions. Second, some CEOs prefer to delay their IPO, creating a supply of companies interested in highly priced private deals. If conditions change, those CEOs may decide to go the IPO route if the private highly priced deal terms are not favorable anymore. After all, the number of IPOs in 2014 was only half of what it was during the 1990-1996 timeframe. All the while, secondary markets are taking care of liquidity for private investors and employees alleviating the pressure from the existing shareholder base to push for an early exit. After having reviewed the data, one can only ask if the unicorn phenomenon really exists and if there are significant differences between companies that decide to go public versus ones that want to be financed privately. In the ChiefMartec landscape, Unicorns appear to be companies like the other members of the Billion Dollar Valuation Club, taking the same amount of time, raising the same amount of funds and being valued about the same. The Venture capital market from a funding standpoint seems also to be fairly healthy selecting the same number of company year over year. This obviously may change in the coming years with a new vintage of start-ups created in 2010-2015 and if the market heats up even more.